Are you tired of your lawn looking dry and dead? Do you have dead or brown spots that will not go away, no matter how much you water them? Lawn care can be a daunting task, especially when you are not seeing any results. If you are frustrated with your lawn, lawn spraying can solve your lawn care problems. Lawn spraying can help keep your lawn green, lush, and healthy. Lawn spraying can include fertilization, aeration, and pest control. Sometimes, the reason your lawn is not doing so well is because the roots are not long enough. Short roots do not soak up as many nutrients and water as long roots do. Lawn spraying and aeration can help your lawn grow long roots. Hiring a professional for lawn spraying is a great idea because they know exactly how to treat lawns in your area and climate. They also know what causes brown spots and what damage bugs and insects are doing to your lawn. They not only know to how to spot problems, but they know exactly how to fix them. This will save you time and money because you will not have to try several different things to get your lawn looking great. A professional knows what works and how to get results. 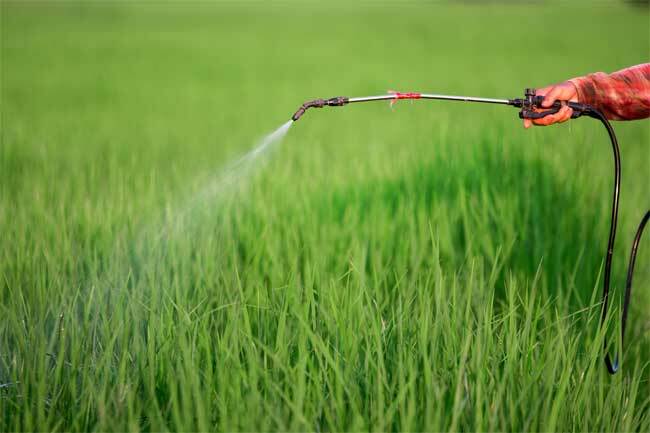 If you are interested in lawn spraying, call us at The Other Side Lawn & Ornamental Pest Control Inc. today. We have been helping people have beautiful and healthy lawns for years. We are an honest company and will give you a fair price upfront. We will not add any hidden fees onto your bill. We look forward to hearing from you!